President Mnangagwa promised a new-look Cabinet of high-end talent and yesterday he delivered with a core of seasoned political leaders joined by lot of new faces, almost all being top professionals in their spheres now "doing their bit" for their country and several preparing to make their maiden speeches in Parliament from the ministerial front bench. Like any first class leader, he wants to surround himself with first class people. It is a team he can lead, but not one he can dominate. Zimbabwe has a Cabinet where there will obviously be serious debate before final decisions are taken, not one where the result is pre-ordained and the chatter is just for show. The President also promised that the economy was the top priority and that for the next five years economics would dominate over politics. He delivered on both promises - talent and economic priority - with his choice of the new Finance Minister, Professor Mthuli Ncube, who is quite simply the top economist who is a citizen of Zimbabwe. He has an international reputation as an academic, economist and banker and it is interesting that he accepted the offer of the Finance Ministry; there are posts he could easily fill that offer far more in the way of financial rewards with less risk than being a Zimbabwean Cabinet minister. We assume that there must have been some serious heart-to-heart discussions between the President and his new Finance Minister before the offer was made and accepted. Both, interestingly, were at the World Economic Forum's Davos meeting in January, the President with a late invitation given after his inauguration and his promises to fix the economy, and Prof Ncube already there by right, as chairman of one of the principal committees under the WEF. There must have been a meeting of minds. 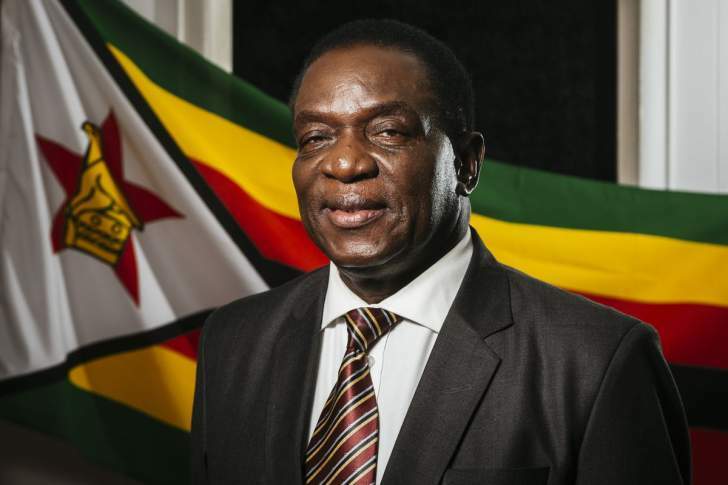 President Mnangagwa must have been impressed over the advice he was offered on what was needed to turn the economy around, and found the suggestions politically feasible and the results politically highly desirable. And Prof Ncube in turn finding that he could work with the President should he agree to move from the top academic and advisory roles he held and get his hands greasy as he moved into the creaky engine rooms of the Zimbabwean economy. These sort of relationships cannot work unless there is a great deal of agreement and a high level of mutual respect. And there must be trust, the President trusting that the top technocrat he has brought aboard can deliver, and the technocrat in turn trusting that he will be given the high-end political backing he needs and that the President he serves can sell the policies that are required. There are no guarantees in this world, but there have been several pairings of top political and economic talent in other countries over the past few decades that have seen countries move from disasters or near disasters to fast-growing economies with growing prosperity for all. We hope this new pairing will join the list. Whatever else can be said, and already that appointment is a major talking point of the new Cabinet, it is definitely not window dressing. Prof Ncube's reputation has been built on solid achievement in the academic and banking worlds and he would not demean himself with a PR job; patriotism will only go so far. He will want another solid achievement to enhance his reputation as well as, more importantly, make his service to his country worthwhile. While Prof Ncube's appointment might grab more international headlines, it is in many ways an example of the stress President Mnangagwa has placed on professional and public reputation outside the political sphere when making appointments. A highly regarded hospital administrator, and one who carried the community he served with him, in the Health Ministry. Respected educationalists take over the education ministries, Zimbabwe's top Olympic athlete heads the sports ministry. It is always useful when ministers move into their offices if the officials they work with, the professionals they need to consult and the public they serve all recognise that at least those in the posts know what they are talking about and can take a lead by personal ability and reputation rather than by the title on the door. It is a strong team with a mandate to deliver. He has also kept the Cabinet tight: 20 departmental ministers plus himself and his two Vice-Presidents. This is enough to direct the Government but still avoid passengers (and we need to remember that the President has promised prompt replacement of any minister who takes a passenger seat rather than a driver's seat) and is a small enough group to allow serious consideration of policies in finite time. Zimbabwe is in for an interesting and exciting time with that team.